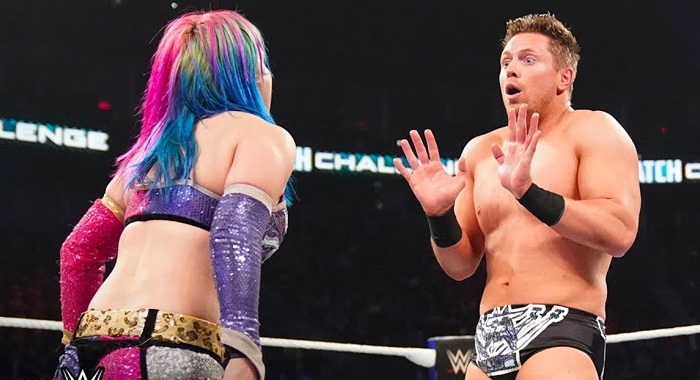 Last night saw the Mixed Match Challenge Play-Offs take place with two teams securing a place in the finals and The Miz didn’t accept his defeat. Last years winners; The Miz and Asuka were defeated in their match, but Miz blamed his partner for the defeat, claiming it was her fault that they were defeated in the match. Miz stated that Asuka did it because she thinks she will be Women’s Champion and he asked why people don’t care about him or what he has done? In the end, it was Jinder Mahal and Alicia Fox and R Truth and Carmella who earned their places in the finals and after their matches, both teams discussed what it meant to win. Alicia Fox and Mahal spent their time discussing whether or not the Singh Brothers were actually part of their team with Mahal going on to claim he has punched his ticket to the main event of WrestleMania 35. Carmella and R Truth were also interviewed after their victory with the team claiming that they are now on the same page and that they are ready for a vacation and to go to the Royal Rumble. Carmella and R-Truth will take on Jinder Mahal and Alicia Fox at Sunday’s WWE TLC event where the winners of the Mixed Match Challenge will be determined.